Milwaukee’s Dutch population first appeared in the records of the 1860 United States Census when some 500 people reported their birthplace as the Netherlands. There is ample evidence, though, that they arrived considerably earlier. One account of the early Dutch suggests that, by 1832, a printer by the name of Lukwilder had moved to Milwaukee after initially settling in Rochester, New York. Another account lists the first Milwaukee Dutchman to be a saloon owner named Wessink. Some aspects of the Dutch origin story in the Milwaukee area are clearer, however. Many arrived as the result of religious persecution or in order to find improved economic opportunities. They used Milwaukee not as a permanent settlement but as a way station to finding agricultural work elsewhere in Wisconsin and further west, or before moving to other cities, such as Green Bay. 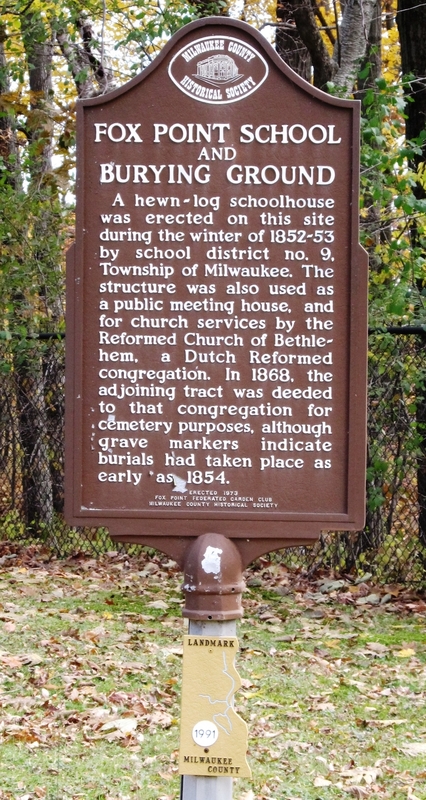 Many of the early Dutch settlers in Milwaukee left the Netherlands due to a split in the Protestant Dutch Reformed Church. Known as “Seceders,” these Dutch migrants became concerned in the mid-nineteenth century over the liberalization of church doctrine. Favoring a more conservative approach to religious matters, the Seceders were persecuted by officials demanding additional taxes and by the military dispersal of their gatherings. As a result, many Dutch looked to places in America with ample agricultural land that would allow them to farm while practicing their religion. Milwaukee was a way station due its proximity to Cedar Grove and Oostburg, which had been founded shortly after the 1847 arrival in Milwaukee and later movement north of many Seceders. By 1846, there were also enough people from the Netherlands living in the area to form a small community. Dutch Hill was located northwest of the Milwaukee River close to present-day 10th Street and Galena. Many of these Dutch performed low-paid labor, finding employment in woodworking in one form or another, bricklaying, or traveling seasonally to Kenosha to work on the farms of Dutch landowners who traveled to Milwaukee seeking help. Despite these opportunities and the development of a small community, many Dutch in the City of Milwaukee found it difficult to secure employment if they did not know German or English. As a result, many continued on their paths in search of agricultural work or more established Dutch settlements. Two notable Dutch communities developed in the Milwaukee area in this period. Town Eight, also known as Bethlehem and the current Fox Point, located approximately eight miles north of the city, was founded in the 1840s. By 1855, twenty families resided in Town Eight, and a Dutch Reformed Church with a Seceder orientation was established. Franklin Prairie, about fourteen miles southwest of Milwaukee, was set up by a number of Dutch migrants from Zeeland, a province in the western part of the Netherlands. These settlements were short-lived, and both disappeared after the first generation of Dutch Americans in the area moved in search of farmland or to larger Dutch settlements, such as Oostburg and Cedar Grove in Sheboygan County. Much of this dispersal of the Dutch population continued through the nineteenth century. In the early 21st century, some 10,000 people in the Milwaukee metropolitan area claim Dutch ancestry in the census. The area’s Dutch population participates intermittently at the Holiday Folk Fair International. ^ U.S. Bureau of the Census, Birthplace—The Netherlands, 1860, tabulated at http://www.ipums.org. ^ Henry S. Lucas, “The First Dutch Settlers in Milwaukee,” Wisconsin Magazine of History 30 (December 1946): 178, last accessed July 17, 2017. ^ Arend Jan Brusse, “Reminiscences of Arend Jan Brusse on Early Dutch Settlement in Milwaukee,” trans. Henry S. Lucas, Wisconsin Magazine of History 30 (September 1946): 87, last accessed July 17, 2017. ^ Lucas, “The First Dutch Settlers in Milwaukee,” 181-182; Mark Timothy Mulder, “Fragmentation within Nineteenth Century Reformed Dutch Immigrant Communities in the Midwest: Questions of Affiliation, Doctrine, Discipline, and Assimilation” (Master’s Thesis: University of Wisconsin-Milwaukee, 1997), 17-21; “Dutch in Wisconsin,” Wisconsin Historical Society, http://www.wisconsinhistory.org/dictionary/index.asp?action=view&term_id=11062&keyword=dutch+in+Wisconsin, last accessed June 12, 2012. ^ Mulder, “Fragmentation within Nineteenth Century Reformed Dutch Immigrant Communities in the Midwest,” 17-21; “Dutch in Wisconsin,” Wisconsin Historical Society, http://www.wisconsinhistory.org/dictionary/index.asp?action=view&term_id=11062&keyword=dutch+in+Wisconsin, last accessed June 12, 2012. ^ Information on the location of Dutch Hill can be found in John Gurda, The Making of Milwaukee, 3rd ed. (Milwaukee: Milwaukee County Historical Society, 2006), 67; additional discussion of Dutch Hill can be found in Lucas, “The First Dutch Settlers in Milwaukee,” 181. ^ Lucas, “The First Dutch Settlers in Milwaukee,” 181; Brusse, “Reminiscences of Arend Jan Brusse on Early Dutch Settlement in Milwaukee,” 87. ^ John Remeeus, “The Journey of an Immigrant Family from the Netherlands to Milwaukee in 1854,” trans. Henry S. Lucas, Wisconsin Magazine of History 29 (December 1945): 223, last accessed July 17, 2017. ^ “Fox Point Cemetery Reflects Dutch Origin,” The Milwaukee Journal, July 5, 1977, https://news.google.com/newspapers?id=1gwqAAAAIBAJ&sjid=VCkEAAAAIBAJ&pg=5760%2C1634407, last accessed June 2012. ^ Lucas, “The First Dutch Settlers in Milwaukee,” 179-181. ^ Dutch ancestry tabulated from the American Community Survey sample, Steven Ruggles, Katie Genadek, Ronald Goeken, Josiah Grover, and Matthew Sobek. Integrated Public Use Microdata Series: Version 6.0 [Machine-readable database]. Minneapolis: University of Minnesota, 2015; Jan Uebelherr, “Germany, Korea, Egypt…It’s All in a Day’s School,” The Milwaukee Journal-Sentinel, November 23, 1996. Lucas, Henry S. “The First Dutch Settlers in Milwaukee.” Wisconsin Magazine of History 30 (December 1946): 174-183.